Are you one of thousands of people suffering from heartburn on a daily basis? Acid Reflux affects as many as 50% of Americans! Heartburn is thought to be caused by excessive amounts of acid in the stomach, but this is a MISCONCEPTION. Did you know that HEARTBURN is typically a sign of TOO LITTLE stomach acid? It’s the truth! A healthy human stomach contains an extremely powerful acid called hydrochloric acid. After food passes through the esophagus, a muscular valve called the lower esophageal sphincter (LES) closes, preventing food or acid to move back up. If the LES doesn’t close, it allows acid from the stomach to travel back up into your esophagus. Often, acid reflux it is a sign of Helicobacter Pylori infection. This is estimated to affect ½ of the world’s population! H. Pylori is a sign that the stomach is unable to produce enough acid to combat infection. Heartburn can also be caused by pharmaceutical medications or a diet full of food triggers such as caffeine, alcohol, nicotine and processed foods. PPIs (proton pump inhibitors) are the most commonly prescribed drug for acid reflux. Basically, they work by blocking acid production in the stomach. However, people with acid reflux are usually not making enough stomach acid already! When you aren’t making enough stomach acid, your body can’t combat H. Pylori infection as well as other food-borne infections. Thus, your chances of getting food poisoning or other illnesses increases. These drugs only temporarily treat SYMPTOMS but do nothing to solve the underlying PROBLEM. They can actually make the problem WORSE in the long run. According to Dr. Mercola, there are over 16,000 articles in the medical literature showing that suppressing stomach acids does NOT address the problem. Michael Katz, director of the San Francisco Department of Public Health, said 60 to 70 percent of people taking these drugs shouldn’t be on them. Only people with bleeding ulcers or Zollinger-Ellison syndrome should be taking these drugs. Some heartburn medications have even been linked to increased risk of heart attack. If not drugs, then what? You must RESTORE your natural gastric balance and function. You can almost always do this naturally, without the help of medications or chemicals. Here’s how. Eating lots of processed foods exacerbates acid reflux. They disturb the bacterial balance in your stomach AND intestine. Processed foods are full of chemicals, preservatives, artificial flavors and dyes, added sugars and who knows what else. You don’t need them. Your body certainly doesn’t need them. Seriously limit or completely eliminate your consumption of these foods and watch your life change! To balance the bowel flora in your stomach, you need to be getting enough daily probiotics. Your gut bacteria changes every 20 minutes! Keeping your gut bacteria healthy and balanced is the KEY to good health. Most americans don’t eat enough fermented foods to give them the probiotics they need. Take a high-quality daily probiotic supplement that has at least 10+ strains. When your bowel flora is balanced, H. Pylori will be eliminated naturally without needing antibiotics. Almost every culture besides America eats fermented foods with their meals! Eating more fermented foods will do WONDERS for your digestive system and your emotional wellbeing! Sauerkraut is especially effective for soothing acid reflux. As I mentioned, heartburn is often a sign of having too little stomach acid. High quality sea salt provides your body with the chloride it needs to produce hydrochloric acid. Use Pink Himalayan Sea Salt or Celtic Sea Salt in when cooking in place of cheap salts. These are full of over 100 trace minerals and have been shown to have some seriously amazing benefits. Earlier I briefly mentioned food triggers contributing to heartburn in some people. Before I changed my lifestyle, I was eating lots of dairy, grains and sugar throughout the week and then drinking all weekend. I would have heartburn symptoms for days in a row. Once I eliminated these triggers from my diet, the symptoms disappeared. This is one of the best remedies for quick relief that also has long-lasting benefits. Take a teaspoon or a tablespoon in a glass of water and symptoms should improve quickly. Apple cider vinegar is also great for your digestive system and improves the acid content in your stomach naturally. Click here to learn 50+ ways to use this amazing kitchen staple! Baking soda has an extremely high pH and if taken internally, neutralizes stomach acid. This is also a good remedy when quick relief is needed. Mix ½-1 tbsp with a glass of water and drink. Baking soda is high in sodium, however and shouldn’t be used for heartburn more than once a day. Save it for the most serious episodes and use apple cider vinegar for regular relief. This is an extremely potent antioxidant you can take in supplement form. Studies found astaxanthin to reduce symptoms of acid reflux, especially in those with H. Pylori infection. Take daily doses of 40 mg for best results. Side benefit: it’s been shown that taking this regularly can be used as natural sunblock – internally! Nature is a genius! Juicing is hands down one of the quickest ways to heal the body and provide the micronutrients needed to thrive. 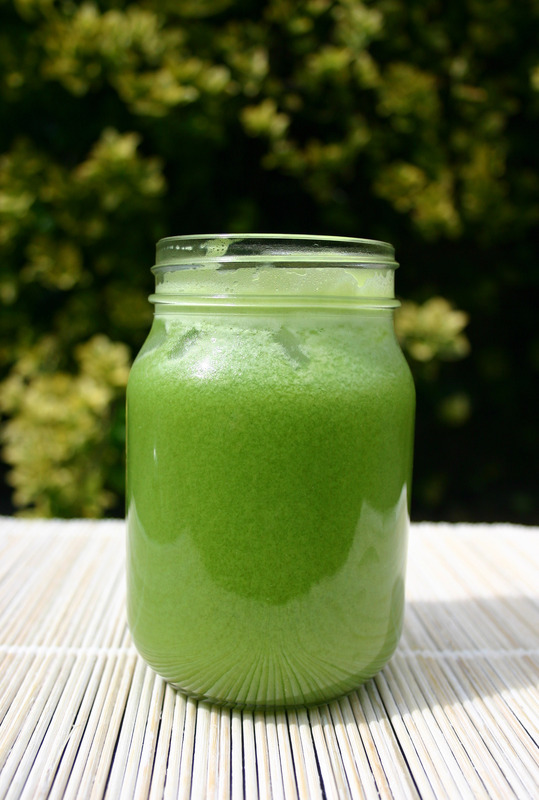 The live enzymes in green juice aid digestion and absorption of nutrients and ultimately help to heal the gut. Americans eat so much of their food cooked that they are lacking LIVE ENZYMES, which the body needs for good digestion and vitality. It only makes sense that LIVING food will give us more energy than DEAD FOOD. For acid reflux, include foods like: carrots, cabbage, celery, apples, ginger, turmeric aloe, parsley, etc. Bottom line: You don’t need drugs to get rid of acid reflux. In almost ALL cases, people can ease and eradicate this annoying problem through simple but powerful lifestyle changes. Making these changes will have many benefits for your short-term and long-term health. Improving your gut flora will help you eliminate acid reflux and heartburn, create an environment to better absorb nutrients, allow you to have more energy and may also improve mental health (your gut is known as your second brain, after all). Wash all items and chop as needed for your juicer. Juice and then drink within 15 minutes. Stir in the ACV after juicing all ingredients.